This statistic shows the results of a survey conducted in the United States in February 2017. 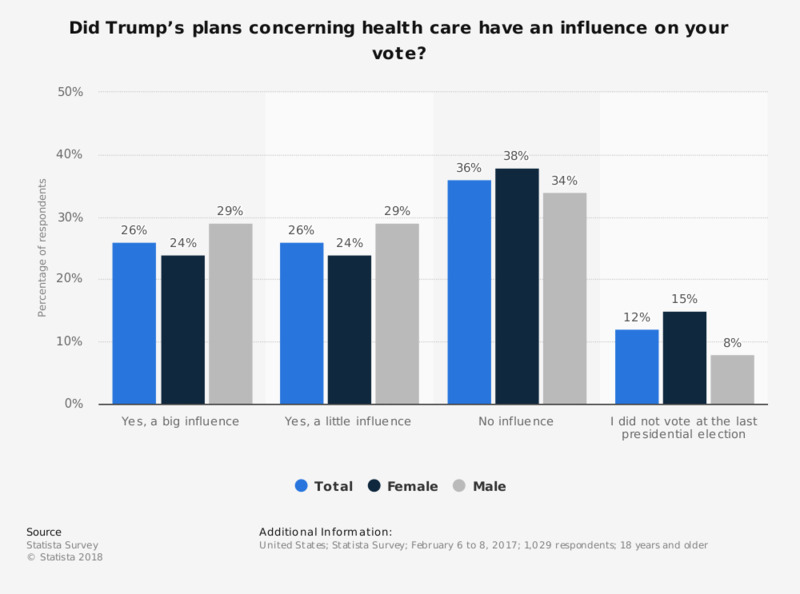 U.S. adults were asked if Trump’s plans concerning health care had an influence on their vote. In total, 36 percent of respondents stated that it had no influence on their vote.